that can save you up to £100! 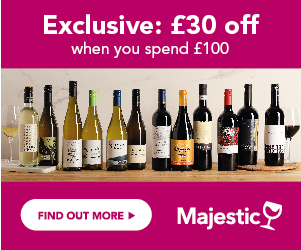 Use our Laithwaites new customer voucher to save £50.00 off your first order*. Place your order, proceed to checkout, sign up as a new customer, enter you personal details, enter your delivery options, then on the payment page enter the voucher code DIRECT2 to redeem your voucher. Save £40 off your first order with our Virgin Wines Vouchers. Standard delivery: £7.99 per address. Save up to £100 off your first order with our exclusive Naked Wines Vouchers. Free delivery when you spend £80 (excluding vouchers). An additional delivery charge for out–of–area postcodes or Saturday delivery may apply.